Franziska Baumann plays with two unique instruments: her SensorGlove to control live sounds and gestures electronically and her voice which to her is a real instrument. This latter she has extended and expanded and she is widely sought after for her vocal artistry and electroacoustic effects in music, sound installations and theatre. Much of her work therefore revolves around improvisation. 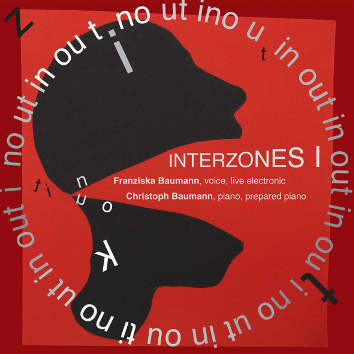 Christoph Baumann is also noted for his compositions for theatre and he is Professor in composition, improvisation and piano. Their music on the album flows like the confluence of two rivers, a defiant blend of genera laden with charm and elegance, yes even the lumpy flare-ups and anarchic thumps and pulsations that bring to life the most remarkable soundscapes. Their energy and their spice drive this most contemporary music to foment and foster a profound and liberal aether of improvisation.